Owning a business means that you need to learn to save money whenever you can. Jumping on deals is one way to be able to save a great deal of money, but it may also land you in some serious trouble. For instance, if you were to see a huge commercial bounce house sale online, and you own a bounce house rental business, you may be ready to click the buy button much faster than you should be. It’s easy to get excited when you see a large commercial bounce house sale as these types of units are definitely not cheap to purchase. Finding a huge sale means that you may be able to save a great deal of money while, at the same time, be able to offer your clientele new units that they can rent. But you might want to hold your horses before you press the buy button. Not every sale you will find on these types of units is a genuine sale. 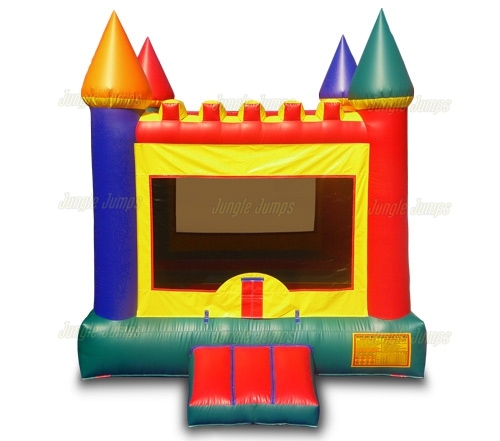 For instance, it is fairly common to find sales on these bounce houses that are not commercial grade. Home use bounce houses are not made to be as strong, nor a sturdy, as commercial units which is one reason why you may find them for sale at an extremely cheap price. Make sure before you purchase any unit that it is commercial quality so that it is able to hold up to the rigorous use children will put through. Another reason why you might see a large sale is because the unit has been discontinued. Now, being discontinued does not necessarily mean that the unit is not going to be a good one. There are, however, times when a bounce house unit is discontinued for a specific reason. That is why it is important that you do some research on any unit that is on sale for discontinued reasons to ensure that the unit you’re going to purchase is safe to buy and use. Is there anything worse than climbing into a bounce house expecting to have fun only to discover that the bounce house is absolutely filthy and disgusting inside? Unfortunately, far too many bounce house rental business owners neglects to properly take care of their bounce house units which leads to them becoming a breeding ground for bacteria. The sad thing is that it can be extremely easy to clean and sanitize the units you purchased at the commercial bounce house sale online. Here are a few tips to help make cleaning that much easier. Step 1 – Sweep up the inside of the bounce house. In order to do this it requires that you inflate the bounce house fully. This step can be frustrating, especially if you live in a small area, which is why most experts recommend that if you’re going to own a bounce house rental business you will want to make sure that you have somewhere that is easily available for you to set the units up at after they have been used. Once the unit has been inflated it is up to you to enter the unit and get rid of any loose debris. Do not be surprised to find things like hair ties, bracelets, and jewelry. If you find jewelry inside of the unit it is a good idea to contact the last renter and to explain what you found so that the property can get back to its rightful owner. Step two – sanitize the entire unit. Once you have swept out the unit, and picked up all the loose debris, it is time to sanitize everything. There are many different types of sanitizing fluids that you can use in order to thoroughly clean and sanitize your bounce houses so it is important that you do your research to find the right solution for you. 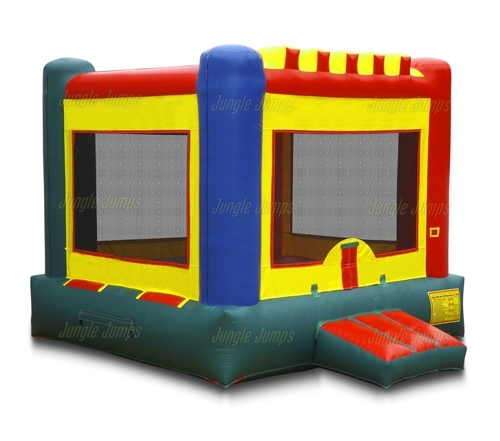 Many rental business owners use products that are used on gymnastic and wrestling mats as the solutions tend to be compatible with bounce house units and are very powerful. You will need to spray down the entire unit that you purchased at the commercial bounce house sale thoroughly, and will then need to wipe down everything. Yes, this can take a little bit of time, but the process helps you to maintain a credible business as well as a good reputation with your customers. Starting your own commercial bounce house business can be extremely intimidating, but here are a few simple to do’s, or not to do’s, that will help to increase the rentals for your business. Make sure you know all of the regulations in your state and in your city. If you have a commercial business it is vitally important that you know about all of the state and city regulations before you even look at wholesale moonwalk sales websites. By knowing all of the regulations before you make a purchase you can go into your business knowing that everything is legal. Make a budget. Every business needs to have a budget in order to run profitably. You not only need to have a budget for your initial bounce house purchases, you also need to have an operating budget as well. If you have a difficult time coming up with a budget speak with an accountant that you trust and have them help you put together a budget. Always look for quality. If you purchase a substandard inflatable bounce house you will find that your customers are not happy. When you look at wholesale moonwalk sales websites it is important to look for quality. Not only will these units impress your customers more, they are also designed to last a great deal longer as well. Get insurance. Insurance is one of the most important things you can get when you start a bounce house rental business. Insurance protects your business, your family, and all of the customers who rent from you. Aside from having great inflatable units, insurance is the most important thing you need. Check out your competition. Before you make a purchase it is important that you know what competition you have in your neighborhood. If you live in an area that is already overly saturated with inflatable rental businesses than this type of business may not be the most profitable one you can start. If, however, you find only a few rental businesses in the area you will know not only who your competition is you also know how much you should charge. Try to stay with gender-neutral units. Yes, themed bounce house units are very cute but it is not likely that they are going to rent quickly. Gender-neutral units, like colorful castles, rent much more quickly and can make you much more money in the long run. Is a Bounce House Rental Business a Good Option for Work-At-Home Moms? Not so very long ago the majority of mothers stayed home to raise their children while the dads went off to work. That changed, for many different reasons, and during the 80s and 90s more and more mothers were out working right alongside their husbands. Now, however, there seems to be a real trend from others to stay home once again and raise their children. Their finances however, do not tend to agree and so that is why many moms are looking for businesses that they can open while they stay home and raise their children. When you see commercial bounce houses for sale it is easy to believe that starting a bounce house rental business would be a great option for a work at home mom business. But is it truly a good option? There are many businesses that can be great options for parents that work-at-home, but that doesn’t necessarily mean that renting out bounce houses is a good option for all work-at-home moms. The difference between this type of business and others that allow you to work at home is the fact that you can’t always be home. 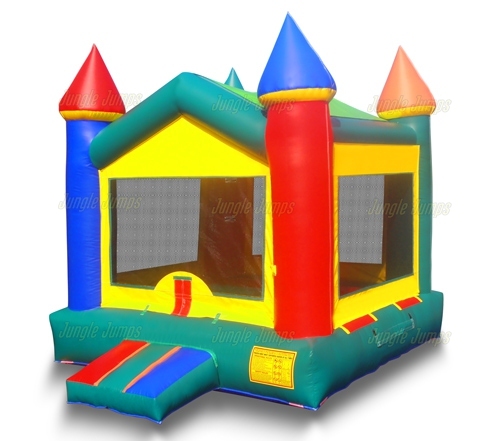 When you rent out the bounce houses you need to be able to travel to the locations, generally on the weekends, in order to set up your bounce houses for the customer. Many work-at-home moms do not want to work on the weekends as is the only time they have available together as a family, and if the idea of working every weekend is something that you have a difficult time with than you may not want to start your own bounce house business. 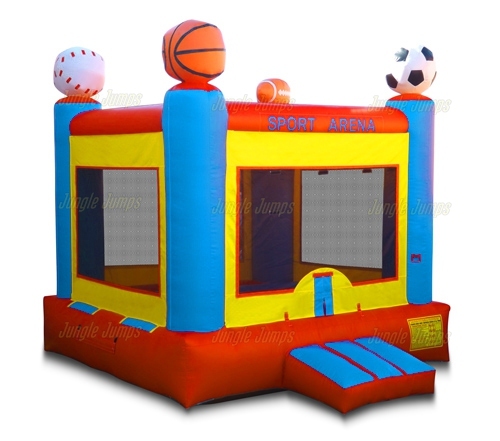 If, however, you have no problem working on the weekends and you are able to handle setting up the bounce houses, and taking them down, then you may want to look into commercial bounce houses for sale. One reason why a bounce house rental business is a good option for work-at-home moms is because your entire family can participate. If you have children that are school-aged you can include them in all sorts of different parts of the business, from advertising to setting up the bounce houses. 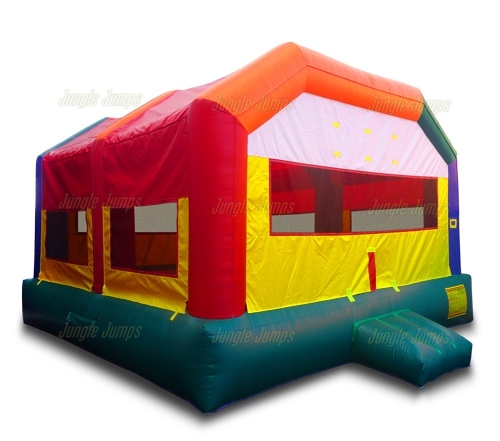 There are many different stages that you will need to go through when you first start your bounce house business. One of the most annoying stages, at least according to most business owners, is the in between stage. This is the stage when you have ordered the bounce house for sale and you are waiting for it to arrive so you can officially start your business. There are, however, a number of things that you can do while you’re waiting for your bounce house to arrive that will help you to get your business up and running in a very rapid manner. One of the most important things you will need in order to get your business started on the right foot are high quality business cards. Your business card is basically your calling card. In Victorian England the gentry would leave their calling cards at people’s houses in order to let them know that they had come to visit. The higher quality your calling card was, the more likely it was that you were a respectable person. The same is true in the business world. Have you ever gotten a business card that looked like it was printed from a home printer? They definitely do not look professional. High quality business cards are definitely essential if you plan on having a respectable business, and fortunately there are a number of places online that you can create, purchase, business cards for fairly low cost. Another thing that you’re going to need is a website and a social media presence. Social media has become huge for today’s business owner, and it can definitely help your business to grow very rapidly. While you’re waiting for the bounce house for sale to arrive you can take that time to create a website for your new bounce house rental business and you can also take the time to create accounts for your business on social media websites like Facebook and Twitter. It can definitely feel a bit like torture while you’re waiting for the bounce house for sale to arrive at your home, but if you take those few short weeks and use them to build other parts of your business you will find that you are ready to get your business up and running much faster, which means that you are able to earn income much faster as well.